Father’s Day this year is June 15th. Chances are, your dad is way beyond the traditional tie. Enter: unique retro decor and FUNctional goodies. If you’re on the hunt for a Father’s Day gift he’ll love, use and remember, here are ten great vintage-inspired gifts. 1. A sign for his man cave. Dad’s marked his territory, and this sign tells him you respect those boundaries. You’ll find scores of differently designed signs for his sanctuary at the man cave search page. These classic diner mugs will keep his coffee tasting great. 2. Real diner coffee mugs. If Dad drinks java, then he wants it hot and fresh. 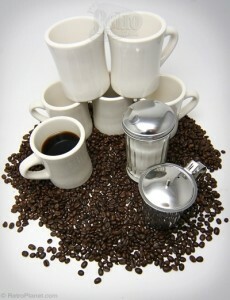 These classic coffee cups will keep his cup ‘o joe tasting superb, and at the perfect temperature. There’s a reason they’re one of the most popular gifts of all time. 3. Heroic recognition. Whether he served in the military, on the police force, or on a fire truck, Dad deserves to be thanked. Choose from hundreds of military tin signs and clocks, or wall and table decor for Dad: The Hero. 4. Rockin’ wall decor. 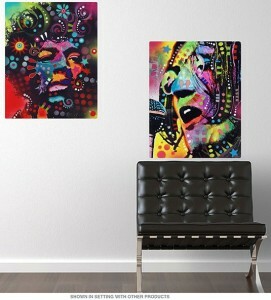 From The Beatles to Jimmy Hendrix, the rock ‘n’ roll dad will get a kick out of decor he can hang in his own space. 5. Ice cold Cokes. This Coca-Cola mini fridge holds six 12-ounce cans or four 2-liter bottles. The bonus? It works off AC and DC power, which means he can take it on the road. There’s also a cooler that doubles as a fridge, which holds up to 20 cans. 6. The humor of The Three Stooges. Because, really, who doesn’t like that slapstick comedy? Choose from drinkware to wall decor. 7. Bragging rights for his ride. 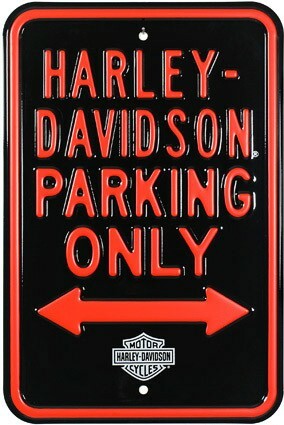 Whether it’s a Ford, a Chevy, or even a Harley, give Dad his own parking space. Abide by the sign, and it’s a gift that lasts year round. 8. Speaking of rides, these classic car shelves are totally rad. There are 20 vintage rides to choose from, including a 1965 Shelby Mustang GT-350! 9. Superhero stuff—for the superhero! Whether he’s a big fan, or you just want to tell Dad he’s truly a Superman, choose from scores of wall decor, licensed coffee mugs, lunch boxes and more. Among our top choices? 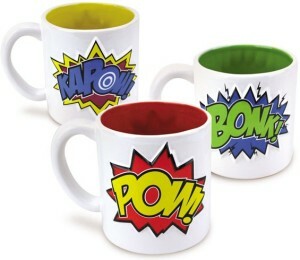 The Pow Bonk Kapow mug set and the Wham Bang Pow wall decal. 10. Nostalgic sweets. Take Dad back in time with a box chock full of retro candy. The gift box holds over a pound of candy from various decades, sure to spark his memories of afternoon stops at the candy shop. Looking for more fantastic gifts for Dad? You’ll find hundreds of ideas at the Father’s Day gift ideas section at Retro Planet. If you get stumped and really want to just give him a tie, here’s one made of duct tape. We can’t guarantee he’ll wear it to the office, though!